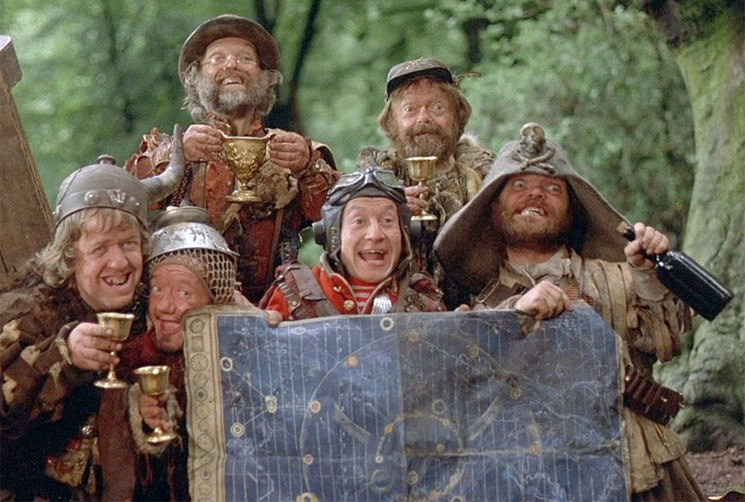 While news of Terry Gilliam turning his beloved Time Bandits film into a TV series has been floating around for years, the project is finally moving forward, with Thor: Ragnarok director Taika Waititi now attached to the series, no less. The news arrived today, revealing Waititi — who has also helmed such beloved films as What We Do in the Shadows and Hunt for Wilderpeople — would be directing and co-writing the pilot for Gilliam's upcoming TV series, which is based on the Monty Python hero's 1981 fantasy film of the same name. The Time Bandits television series is in development at Apple, and Gilliam will serve as executive producer alongside producer Dan Halsted (People of Earth). Last summer, Apple acquired the the rights to turn the 1981 fantasy into a TV series. For the unfamiliar, the film centred on the time-travelling adventures of a 11-year-old boy and a band of dwarves. On their travels, they meet a series of historical and fictional figures such as Napoleon Bonaparte and Robin Hood. As of yet, there is no firm premiere date for Time Bandits, so stay tuned.